Our NSCAD Extended Studies Printmaking Class is Not to be Missed! Our Resident Extended Studies Printmaking Extraordinaire! Spring is in the air (even if some days the weather is saying otherwise)! With this off-and-on weather, we’d like to warm your soul with a spotlight to the visual skills of Maria Doering, our resident Extended Studies Printmaking professional extraordinaire! To say it simply, Maria is an artistic whirlwind. 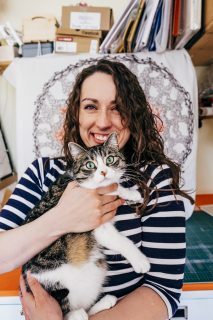 To many of the NSCAD University post-secondary students, she is known as their undergraduate Intro Screen Printing instructor. 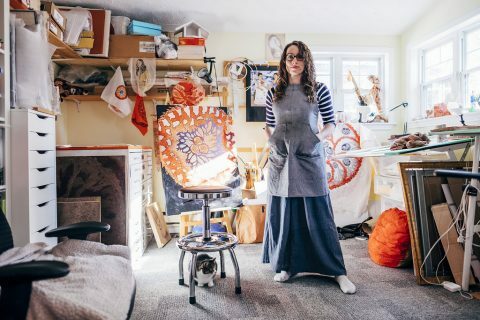 Around the artistic community, she is an active arts promoter (in being the president of the Nova Scotia Printmakers) She makes her studio-home in Dartmouth while constantly foraying into the world with her drawings, prints, and professional practice. Here in Halifax with NSCAD Extended Studies, she is our resident printmaking professional, expounding on all things printed matter with her stellar courses in Monotype and Screen printing. Sign up for her course here. Ever wondered what we mean when we say “screen printing”? It’s the process of blocking out parts of a fine mesh screen then pushing a liquid ink through onto paper creating a unique set of images. There’s lots of different ways to do this (not to mention all the neat tricks in fancying up your ink application), and in her Screen printing Intensive course this term, Maria will set you on a path to making marvels! You have the chance to see her work in her public Open Studio day Saturday April 28th, from 12-3pm. Open to all, this is a unique chance to see more of what Maria is all about, and what you can expect in a class with her. We’re happy to have her back and teaching with us after her year abroad in artistic residencies, but if you’re not able learn from us, Maria is hosting a variety of printmaking classes around Nova Scotia. Screen printing Intensive runs from May 7 to May 16th this Spring term from 6:30-9:30pm. With sessions on Monday to Thursday for 2 weeks, it’s a condensed time frame for those to want to learn a new skill fast! Applicable in poster design, printing promo material (a classic skill to those in music bands! ), and more it’s a valuable skill for those in the artistic community! See more at Maria’s website here. Besides printmaking, we have lots of new, exciting classes on offer and our classic, established art courses, there is something for every artistic interest! NSCAD Extended Studies offer unique art classes for all ages for people just starting out or practicing professionals; all you need to engage in a class with us is enthusiasm! Registration is available online or by calling our Finance Office at 902 494 8185. For NSCAD Alumni and seniors (age 65+), we’re happy to offer a 20% discount; just call our Finance Office for more information. 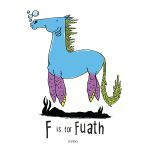 In addition to Maria’s marvellous class, we also have many other fantastic courses on offer for Spring: Intro to Illustration with Drew McSherry, Typography for all Types with Lorraine Albert, Comics & Sequential Art with Kyle Bridgett, and many more. Stay tuned for our next Inspiring Instructor blog post!